Outside the professional datacenter market, 4TB is the largest amount of SSD storage space you can get your hands on today. And even then, availability is still very limited. Here we’ve collected every single 4TB SSD we could find as of April 2019. It’s fully possible to build high-capacity SSDs – at least in the 2.5″ and Add-in Card form factors – so the major stopping block is a high cost for the end user. However, the cost of Flash memory has been dropping for some time. And thanks to the arrival of cheaper chips in the form of TLC (triple-level cell) and lately QLC (quad-level cell) NAND, prices should keep falling. As of now, however, only a limited few manufacturers build 4TB drives. The number of M.2 SSDs with this capacity is zero so far. You’ll be limited to the 2.5-inch SATA, Add-in Card and external form factors. If you are looking for lots of fast internal storage space at a cost that isn’t too exorbitant, a 2.5-inch SATA drive is pretty much your only choice today. You are also limited to just one manufacturer, namely Samsung. 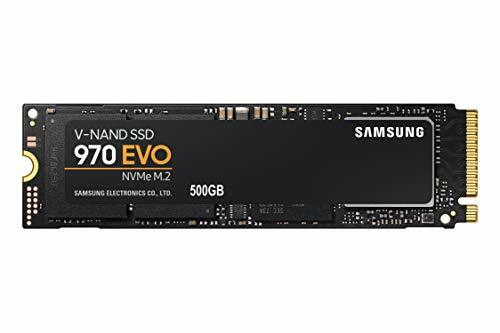 Samsung 860 QVO, EVO or PRO? For several years, many users made only one choice when buying an SSD, regardless of capacity: either the Samsung EVO or the PRO series. Fortunately, for anyone looking for a larger variety, Samsung recently added a more affordable 4TB SSD to the lineup along with the 860 QVO series. What makes the QVO different – and more importantly cheaper – is the use of quad-level cell, or QLC NAND memory. QLC memory stores an additional bit per cell (compared to TLC), which means higher densities, a more efficient production process, and a lower total cost. Needless to say, some significant drawbacks are also included in the more moderate price tag. Most importantly, performance and endurance is reduced. One extra bit doubles the number of charge states in each transistor, making them more prone to voltage drift and other issues that need to be corrected for. On the other hand, Samsung seems to have the technology well in hand. The QVO series offers impressive performance, particularly in the largest 4 TB capacity. The endurance issue is also compensated by the sheer size of a 4TB SSD. A vast majority of users will never come close to the 1,440 TB of the guaranteed writes ever – and even less so during the warranty period. Most likely, it won’t wear out before all other parts of the computer are already on the scrap heap. So the main drawbacks compared to the more expensive Samsungs would be lower performance and a 3-year warranty (instead of five). If you’re not comfortable with the warranty terms and performance numbers for the 860 QVO, the 860 EVO might be a more attractive option. It comes with the usual 5-year warranty as well as tried-and-tested TLC memory that will last even longer. And in terms of performance, this SSD is only bested by the 860 PRO. The bottom line: There’s really no question that the 860 PRO is the fastest and most durable drive out of the three high-capacity SATA SSDs available. However, it’s no less obvious that the price tag on the 4TB 860 PRO is intimidating. In our opinion, the 4TB 860 EVO offers the best mix of value, performance and warranty terms at today’s price levels. The reason why we’d choose it over the 860 QVO is not that the QVO is bad, but that it has to drop further in price to compensate for the drawbacks of its QLC NAND. If you just want lots of really fast storage to go – in a compact form factor – you actually have quite a few options. Unlike hard drives, solid state drives are not limited by the size of spinning platters, only on how the manufacturers decide to stack the memory chips. Oddly enough, storage giants like SanDisk and Samsung don’t offer 4TB or larger drives in their well-known Extreme and T5 ranges. Instead, several smaller manufacturers have found a niche here. 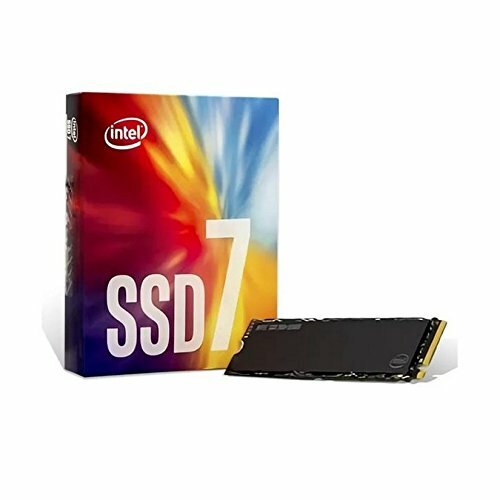 One thing to keep in mind when shopping for en external SSD is rated performance. What you really need to avoid is ending up with a glorified thumb drive that’s barely faster than a mechanical hard drive. The best-performing drives use either the USB 3.1 Gen2 or Thunderbolt interfaces. Here are some of the leading models right now. Out of these three best-selling 4TB external drives, it’s abundantly clear that the Glyph Atom RAID SSD is the best-performing option. It actually consists of two smaller M.2 drives in a RAID 0 array, which nearly doubles transfer rates compared to a single drive. It is also ‘Thunderbolt 3 compatible’, meaning that it should play well with recent MacBook Pros. However, it doesn’t use an actual, full-featured Thunderbolt 3 interface, and neither does Oyen Digital’s U32 Shadow. Both utilize the USB-C 3.1 Gen2 interface, which has a maximum bandwidth of 10 Gbps. The VectoTech Rapid is bound by the limits of the USB 3.0 (or USB 3.1 Gen1) interface and is therefore slower than its competitors. If money is no object, it’s possible to buy SSDs in even higher capacities than 4TB, such as Samsung’s 30.72 TB PM1643, which will probably set you back around $12,000. Most enterprise drives are both very expensive and very durable, as they are intended for the server market. Endurance is measured in DWPD (drive writes per day) or petabytes written (PBW) instead of terabytes written (TBW). Enterprise SSDs are a bit outside of the scope for this article, but we’ll take a brief look at a pair of interesting models. INTEL SSDPEDKE040T701 Solid State Drive 3.5"
What makes these SSDs at least somewhat interesting from a consumer/enthusiast perspective is that they are physically usable in an end-user machine. The Intel drive is a half-height PCI Express Add-in card, while the Micron 5200 ECO uses the common SATA interface, as opposed to SAS. Moreover, both drives are built with mostly the same hardware as consumer models, most importantly 64-layer 3D TLC NAND. This keeps the prices in check versus extremely expensive alternatives such as SLC or eMLC. While SSD prices keep dropping at a steady pace, the cost per GB is still very high compared to mechanical hard drives. And for most users, combining a lower-capacity but really fast drive with one or more regular hard drives is still the best option. On the other hand, there are some categories of users that can really take advantage of a 4TB or larger SSD. The fast transfer rates are an obvious advantage for everyone working with large files, like photo- and video editors. Unfortunately the options are still few, but it’s practically certain that we’ll see more high-capacity SSDs in the near future. And at reasonable prices, thanks to the proliferation of QLC NAND.